Ruby, along with probably another million and a half girls this year, wants to be Rapunzel for Halloween. Halloween also happens to be her birthday, so we took the easy way out this year and let grandma buy her the Disney costume for her birthday present. 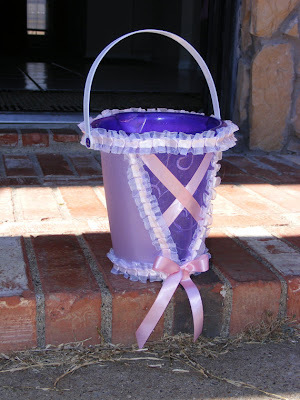 But I had been looking for some DIY ideas, so I thought I would pass them along. 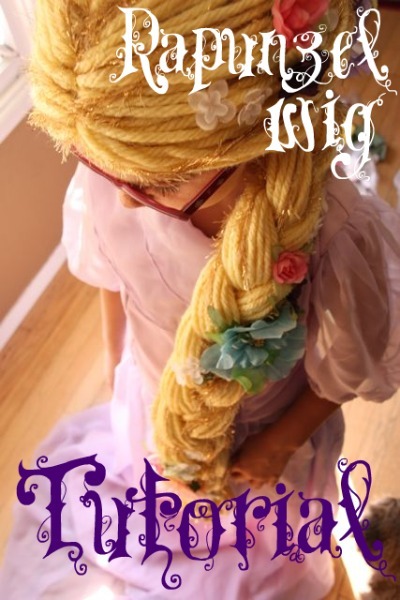 The first, and maybe my favorite, is this DIY Rapunzel wig from This Mama Makes stuff. Ruby got the original Rapunzel hair for Christmas, the wig that WASN'T braided, and it was a complete mess within five seconds of opening it. This braided version will be a lot more manageable. And if you REALLY want to be cool, use some glow sticks to make your Rapunzel hair glow with this tutorial from The Bird's Papaya. 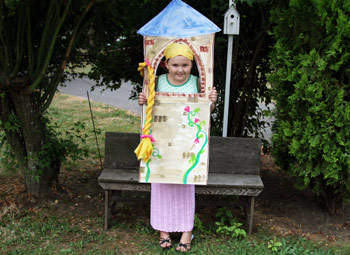 I love this Rapunzel tower costume from Kaboose. It would definitely set you apart from all of the other Rapunzel's out there on Halloween. 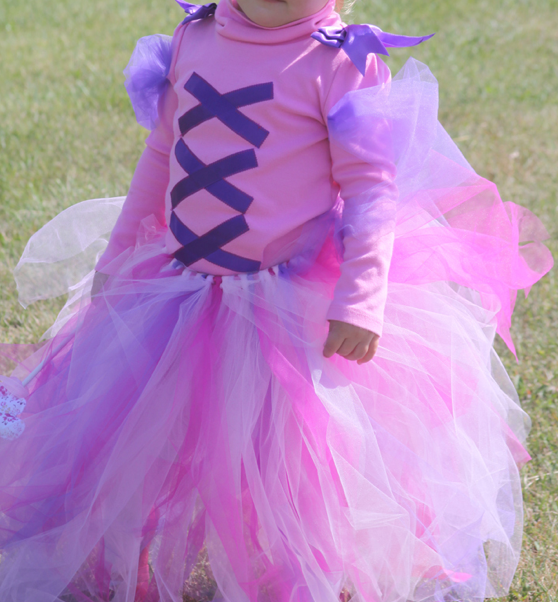 And I always love the tutu costume version and this DIY Rapunzel tutu from The Spotted Pony is no exception. And last but not least, this isn't a tutorial, but a cute Rapunzel bucket you can pick up from MaddieBags on Etsy. thanks for including me in this amazing collection!! Loved Tangled and that is just adorable!